Standard Business cards are offered in a variety of sizes and finishes which are printed on premium heavy or extra heavy card stock. 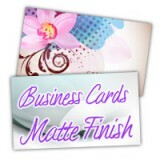 You will be impressed with the vibrant, accurate colors and the lasting impression the business cards will leave. 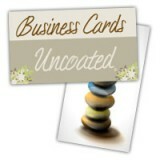 Round corner business cards,Matte / Dull Finish Business Cards, Business Cards W/ Spot UV Coating,Business Cards W/ Silver and Metallics Ink.